Monday meant back to school for my kiddos and that meant back to “work” for me. Three or four weeks per year I bring the snack for the preschool class. What compelled me to be on the list for the week after winter break I don’t know. Thank goodness I put it on my calendar and remembered! I even researched a healthy, fun snack that was inexpensive and easy to prepare. It turned out so cute I’m thinking of serving it for the next kids’ book club meeting for my 2nd and 5th grader and the rest of the moms. Rinse and scrub the cucumbers. Slice off the ends of the cucumbers. 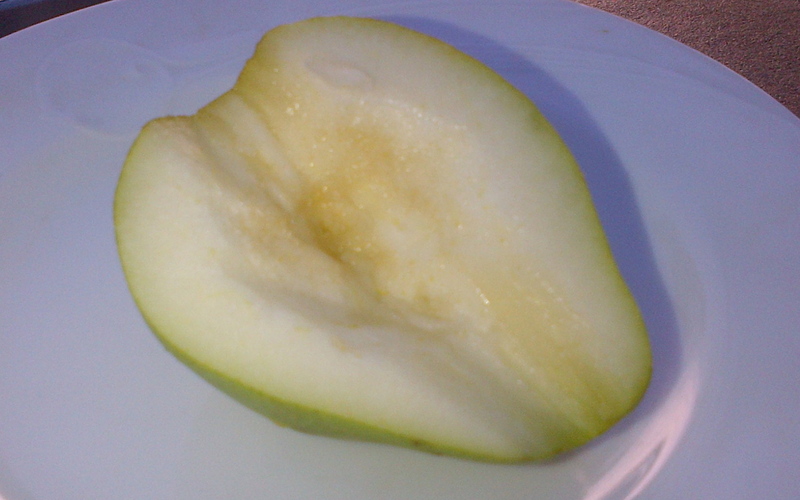 Cut them into 2-inch sections, about 6 sections per cucumber depending on the size. 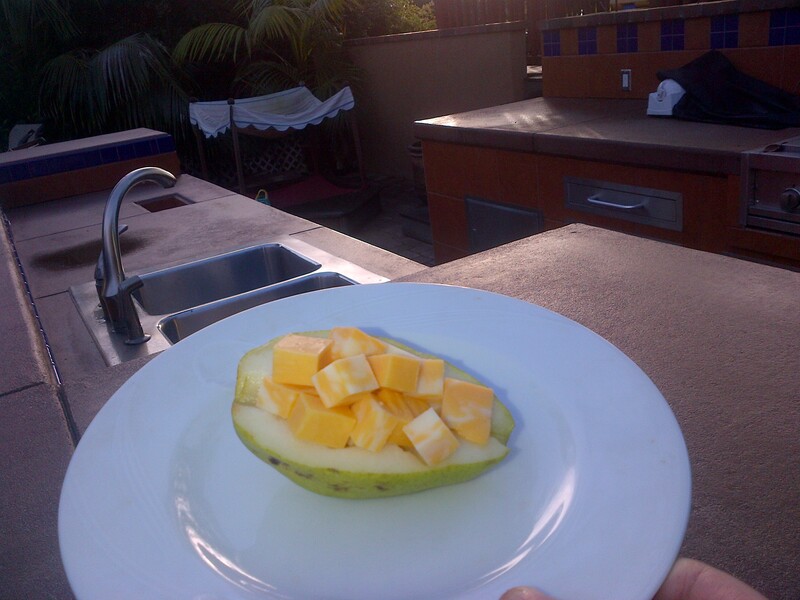 Use a melon baller to scoop out the center of each section, creating a “cup” for the ranch dressing. 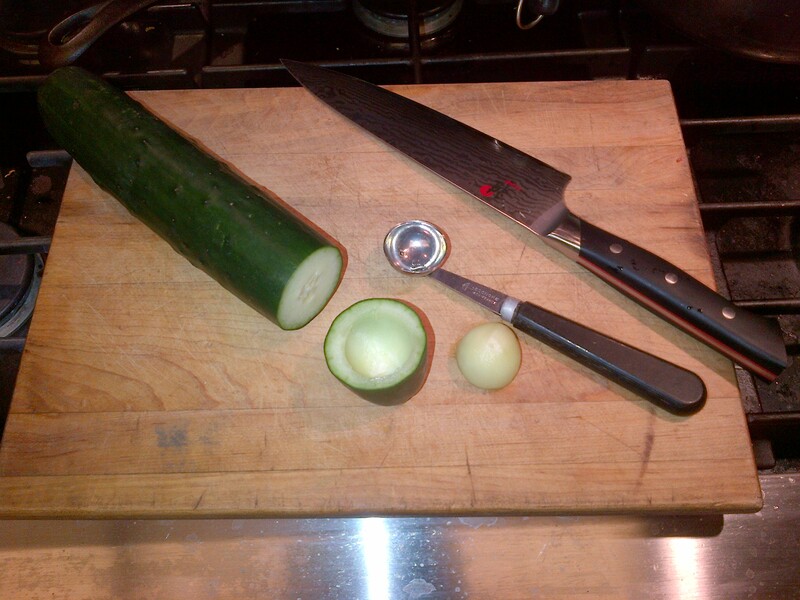 Reserve the scooped-out cucumber to use in a salad or cucumber soup. 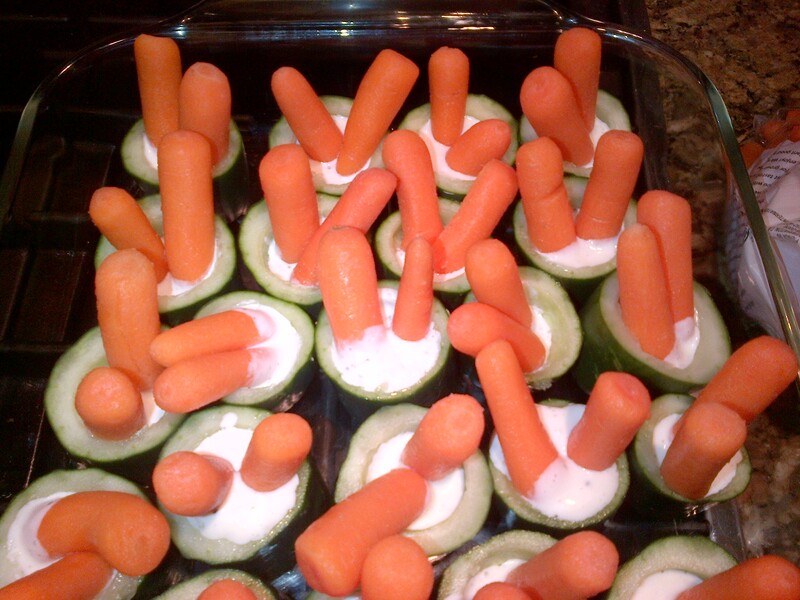 Into each cucumber “cup,” pour a small amount of ranch dressing and add two baby carrots or carrot sticks. These fun dipping cups ended up looking like rabbit ears or sushi.